Coca Cola’s summer advertising campaign in Australia features Ben Lee singing a remix of “In This Together”, a track from his album Awake Is The New Sleep. Coke becomes the connecting point for people living in bubbles, bringing them together for a party on the beach. 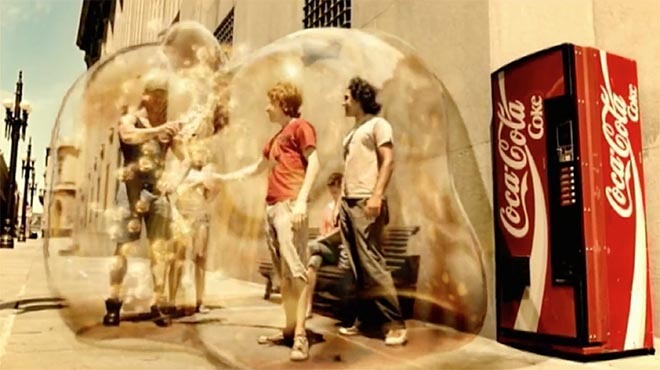 The Coca Cola Summer of Us campaign was developed at Singleton Ogilvy & Mather, Sydney. Filming was shot in Montevideo, Uruguay, by director Perry Bradley via Film Construction with producer Jozsef Fityus, director of photography Renard Marie. Editor was Steve Cox. 3D post production was done at Postmodern. And we’re all in this together. We’re all in this together has also been used in advertising campaigns by The Salvation Army and the South Australian Government.